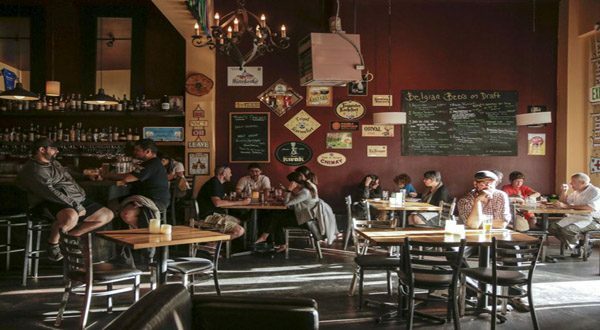 Stevens will stay on staff at the Portland Thirsty Monk to help though the transition to ensure clientele continues to receive the same level of customer service they’ve come to expect at Bazi. “I’ve lived in Portland for 20 years and I’ll always be grateful for the opportunity to grow a business in such a welcoming community, but after Hurricane Harvey my priorities have changed personally. My intention is to eventually head south to be closer to my siblings and parents in Houston,” she says. Bazi will officially become part of the Thirsty Monk family in mid-December, and the space will take on the Thirsty Monk name in early 2018. Plans include adding a small batch brewhouse in Portland. Thirsty Monk, founded in 2008, brews Belgian-Rooted Modern Ales in Asheville, NC, a world recognized craft beer destination. Thirsty Monk currently operates Thirsty Monk Downtown, Thirsty Monk Biltmore Park, Top of the Monk craft cocktail bar, and Brother Joe’s Coffee Pub, all in Asheville. Thirsty Monk is expanding its brewing operation to Denver, CO later this year. Find the company online at monkpub.com. If Monks lived in Portland, this would be their watering hole. Bazi brings centuries of Belgian-inspired beer and food under one roof plus a premium liquor selection. Explore with a nationally recognized Bier-Cocktail or simply sip on a glass of wine. As a Euro-centric establishment Bazi embraces bringing community together through sports. The bar is an official Thorns, Timbers, Liverpool FC and American Outlaws partner, and showcase these and other events on our 114″ HDTV with surround sound. Named “No 1 Soccer Pub” by The Oregonian 2016, “Top 100 Beer Bars in America” by DRAFT Magazine 2014, 1015, 2016 and “Top 10 Best Beer Bars in Portland” by The Oregonian, 2014. Located in the heart of the Hawthorne District, tucked away just off of SE 32nd Avenue. Find Bazi online at bazipdx.com.